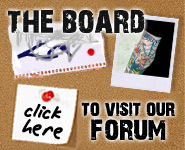 Top Ten UK Tattoo Studios. Click here to view Marchs 2008 top ten. Click here to view Febuarys 2008 top ten. Click here to view Januarys 2008 top ten. Click here to view Decembers 2007 top ten. Click here to view Novembers 2007 top ten. Click here to view Octobers 2007 top ten. Click here to view Septembers 2007 top ten. Click here to view Augusts 2007 top ten. Click here to view Julys 2007 top ten. Click here to view Junes 2007 top ten. Click here to view Mays top ten.